Pine Bros sent us a few packets for their Wild Cherry flavored throat drops. Coincidentally enough, I happened to be getting a cold when they arrived, so they were really put to the test. I admit, I am slightly addicted to having cough drops with that cooling menthol sensation in my mouth and throat, and these did not give me that satisfying feeling. However, they did their job - very well I might ad. They suppressed my coughing a little better than my usual cough drops even. I was thoroughly impressed! I can see why they've been around so long. You can find more info on Pine Bros website, or by following them on Facebook and Twitter. Disclaimer: Baby and the Chi's blog received the product(s) mentioned in this post for the purpose of review and evaluation. No monetary compensation was received. I received one or more of the products mentioned above for free using Tomoson.com. Regardless, I only recommend products or services I use personally and believe will be good for my readers. Great to hear when these products actually work! i want to try this products too!!! Good to know that these really work. Thanks for this very helpful review. Hi! The flavor of these sounds delicious. lol I don't like strong tasting cough drops. So, I'll look for these. Thanks! Thanks for sharing. Always looking for tasty medicines that actually work! I've tried many a cough drop and always defaulted back to Fisherman's Friend or something with a numbing effect when things get out of control. I'm always up for trying a new cough drop though! would like to try them, family really doesn't care for the taste of most drops, these sound like might win them over! might just win over my family to 'like' cough drops. hello,is this available in the philippines? Hmm, yummi, would love to try them! I've never heard of these before, but like you I also like the menthol drops, not sure if these would be ones I'd reach for. I love these but i tend to eat them like candy. 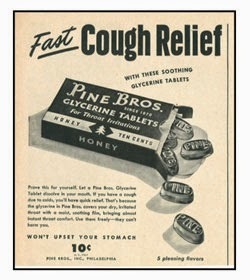 :) They do work really well for sore throats and seems to control my coughing too. this seems worth buying ! !